Gorgeous on the Granite! Beautifully appointed home at the top of Flynn Ridge. 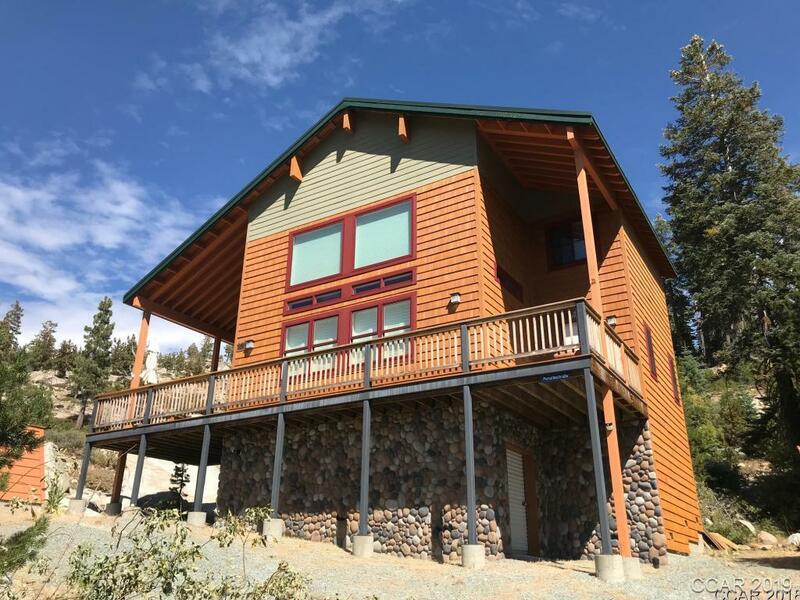 Filtered lake views and open vistas to ski area from the living room and deck. Amenities include but not limited to: Hickory hardwood floors, 26' ceilings in, huge windows with remote controlled blinds, Old World plaster texture on walls, top of the line custom knotty alder cabinetry, beautiful granite counters and shower, Carerra marble tub surround, custom tiling, heated bathroom floors, Subzero refrigerator, Wolf range, farmhouse sinks, Blanco fixtures, luxurious spa shower, decorator lights, jotul woodstove, enviro-blinds for exterior protection. Metal roof, 500+ sf of composite decking, composite siding for easy long term maintenance, and 306 of unfinished space in basement for storage or future use. Directions: Highway 4 To Bear Valley Road, Rt. On Creekside Dr At Stop Sign. Follow To Flynn Rd. Rt. On Flynn All The Way To The End Of The Cul-De-Sac. Inclusions: All Appliances, Fixtures, Etc.